Azamara Club Cruises with Award-Winning Amenities & Accommodations on Boutique ships. Like her two sister ships, the sturdy Azamara Quest® is a mid-sized beauty with a deck plan well-suited to the needs of modern voyagers. You’ll never feel crowded in the comfortable social spaces of our bars, restaurants, lounges, Casino and Cabaret. Staterooms feature modern amenities, furnishings, and European linens. And one of the greatest features of this ship is the large number of staterooms with verandas. Azamara Club Cruises include non-comissionable docking fee of $449 per person each port, Select standard spirits, international beers and wines; bottled water, soft drinks, specialty coffees and teas; self-service laundry; complimentary evening events and more. 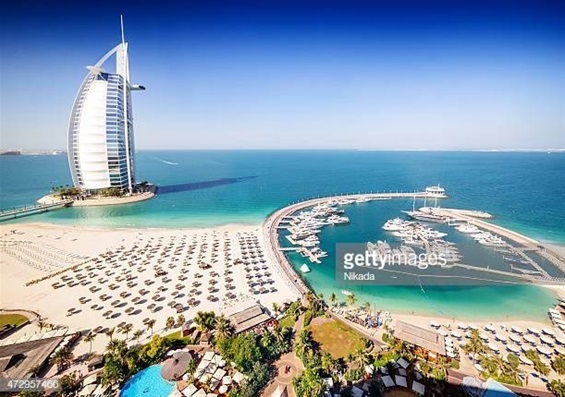 Day 1 – Dubai United Arab Emirates; Tue 17-Mar 2020; Depart 6:00 PM aboard Azamara QUEST. Dubai is a city unlike any other in the world. What was once an endless desert is now home to many triumphs of modern technology, including the world’s first underwater hotel, the world’s tallest building, and the iconic Burj Al Arab. Spend your days exploring merchant stalls in the Dubai Gold Souk, and for an experience you’ll have to see to believe, go skiing in the desert at Ski Dubai. Culture and history await those who travel to Muscat. Shoppers will want to visit the Mutrah Souq to discover a colorful maze of vendors offering everything you could imagine. After, take a stroll along the Corniche to the Mutrah Fort for sweeping city views. And don’t forget the Sulan Qaboos Grand Mosque—the third largest in the world and home to a must-see 600,000 crystal Swarovski chandelier! An oasis from the desert landscape that surrounds it, Al Manamah is no mirage. This former pearl trading center boasts one of the world's largest mosques, and a picturesque seaside promenade. Put your bargaining skills to the test at the Manama Souq or head out for an immersive adventure to the king of Bahrain's camel farm. Discover a modern oasis at the heart of an ancient city in Qatar. View invaluable artifacts at the Museum of Islamic Art, make your way through the Souq Waqif to shop like a local, and dine at IDAM—3-Star Michelin Chef Alain Ducasse’s outstanding restaurant. Cap your visit off with a stroll along the Al-Corniche, where you’ll find breathtaking views of Doha Bay and the city’s unmistakable skyline. You can drive a racecar around the F1 Grand Prix track. Surf the largest sheet wave in the world. Play golf on one of Golf Magazine’s “Top 10 New International Golf Courses”. Have a cocktail in the Yas Viceroy; a five star hotel built half on land, half over water. Go shopping at the 280,000 square mile Yas Mall with Rogo’s Rollercoaster Restaurant – Wee. Camels keep company with lavish sports cars in this dazzling city that is a seamless blend of architecture and culture from the old world and the new. Experience the grandeur of the gold-gilded Sheikh Zayed Grand Mosque, stroll along the seaside Corniche Road, or beat the desert heat at one of Abu Dhabi's chic, upscale shopping centers. Price for inside cabin is $3,338.44 (cat 10) per person (p/p) for double occupancy; for Ocean View cabin is $3,738.44 (cat 6) per person (p/p) for double occupancy; and Balcony cabin is $4,438.44 per person (p/p) for double occupancy. Deposit is due with application in the amount of $550.00 per person to be received on or before June 19, 2019 & balance is due November 1, 2019.